Across the month of March, LEA’s digital media exhibition platform will present ‘Anna’s Cabinet of Curiosities’ from the series ‘Pages from the Book of the Unknown Explorer’ by Judit Hersko. This series consists of installations and a performance lecture by multimedia artist Judit Hersko based on her collaboration with scientists and her experience in Antarctica as a recipient of the National Science Foundation Antarctic Artists and Writers Grant in 2008/09. Released on a daily basis, Hersko examines polar exploration and science through text and images presented from the perspective of a fictitious, unknown, female explorer, Anna Schwartz, who travels to Antarctica with the 1939 Byrd Antarctic expedition. Hersko inserts Anna’s character into real events and scientific quests thereby spawning a narrative that reflects on the absence of women from the history of Antarctic exploration and science until the late 1960s. 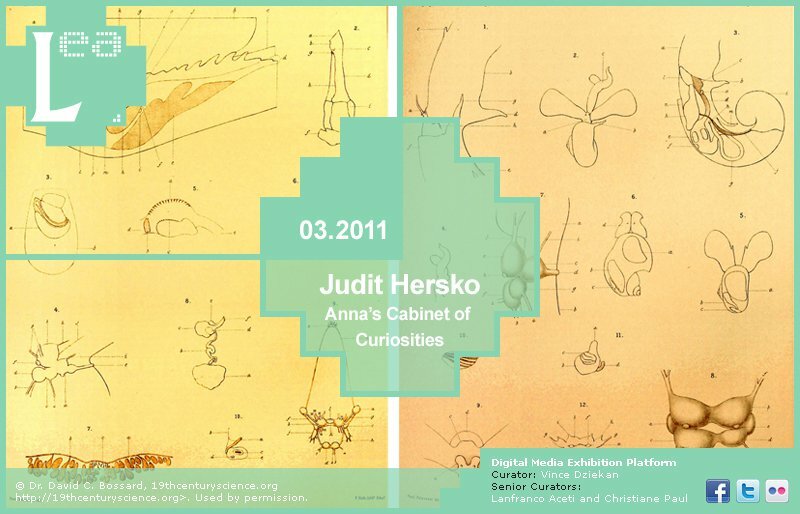 Judit Hersko is a multimedia artist who works in the intersection of art and science. She is an Associate Professor in the Visual and Performing Arts Department at California State University San Marcos where she initiated the art and science project. Her collaborations with scientists have resulted in numerous exhibitions that visualize science and climate change through art. 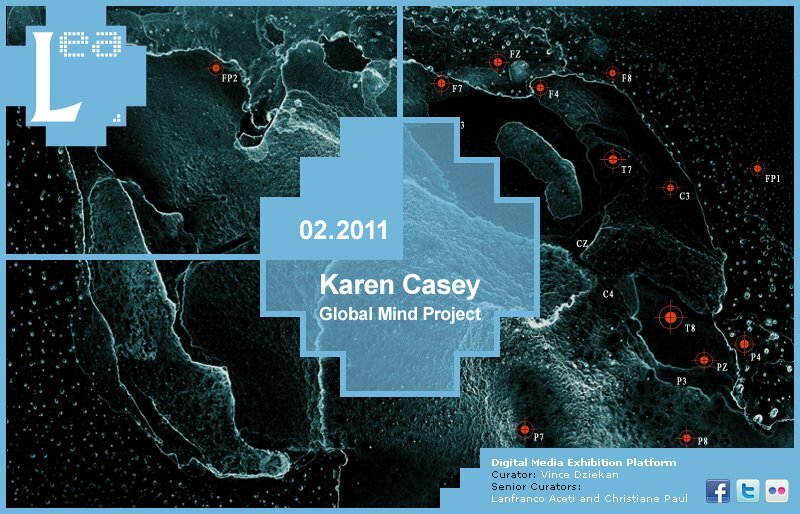 During February, LEA’s digital media exhibition platform presented the ‘Global Mind Project’ by Karen Casey. 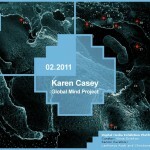 ‘The ‘Global Mind Project’ is a media arts and cognitive neuroscience initiative by Australian interdisciplinary artist Karen Casey. Referencing both traditional and contemporary modes of practice Casey’s work explores intersections between art and science, drawing upon the interplay between mind and matter in order to question and challenge perceived notions of reality, time and space and our collective worldview. Evident in the works documented in this exhibition, including events such as ‘Spectacle of the Mind’, a series of unique outdoor performances involving artists Stelarc, Jill Orr and Domenico De Clario at Federation Square, Melbourne in 2010, Casey’s practice raises awareness in her audience of the technological possibilities for artistic collaboration and an interrogation of consciousness and creativity.